Waterford will release an automatic software update on November 7, 2018. See what’s in this release in the list below. If you have any questions, our Support Team is always happy to help! We released 1,274 new playlists in Classroom Advantage that correspond to Waterford Reading goals. They can be used on an individual, small group, or classroom level as well as for academic instruction, remediation, or intervention. Until this update, teachers could organize their own playlists but had no pre-built sets in Classroom Advantage. These playlists are pre-loaded in the system and organized by instructional strand, sub-strand, and objective in the Waterford Manager. All Waterford Reading playlists are read-only and cannot be edited or deleted. Teachers do not need to download these new playlists, as they will be added automatically to their account. If you have a playlist with the same name as our pre-set playlists, it will be renamed with a suffix. 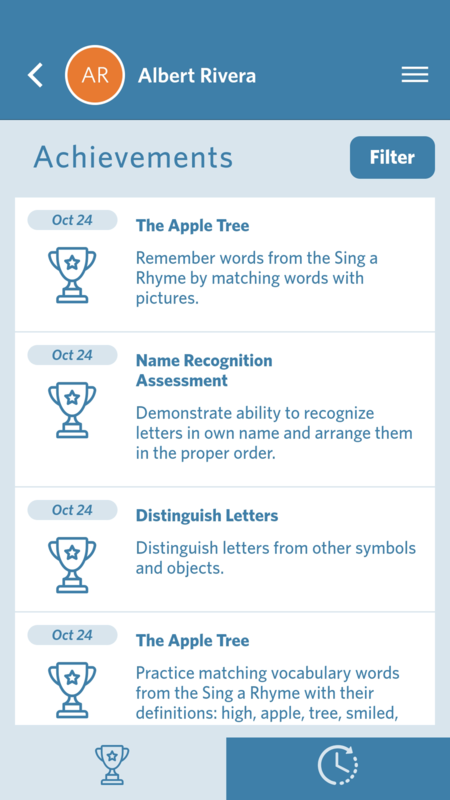 We released Waterford Mentor, a new companion app for Waterford Early Learning and SmartStart, in the Apple and Android stores. 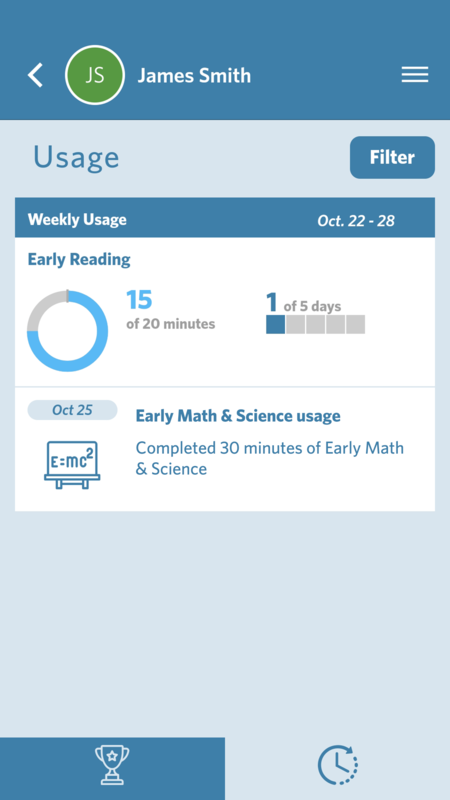 It allows parents or caregivers to sync with a student’s account and view their program usage, recent achievements, and progress towards their subject goals. As of right now, Mentor is currently in the early access stage. If you are interested in using Mentor in your school or classroom, you can request early access here. After downloading the app, caregivers will need a code from their student’s teacher to access the app to connect with their student’s account. 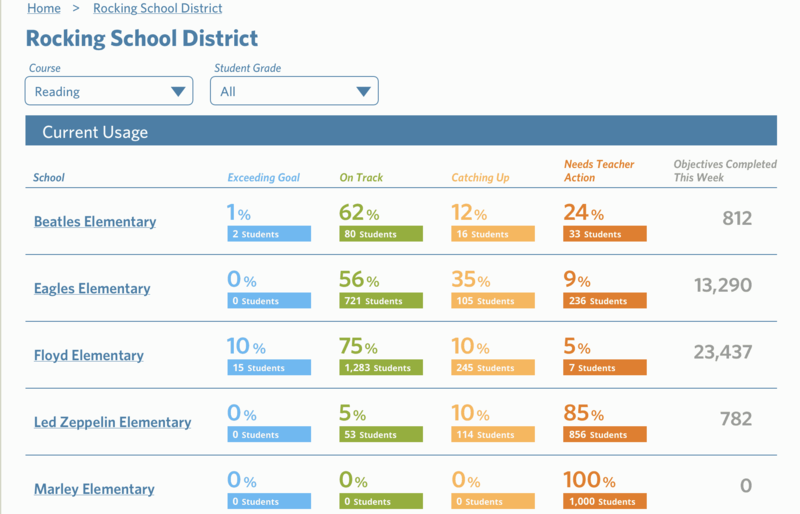 On the school and district levels, you can also view the percentage of students in each of the four categories. 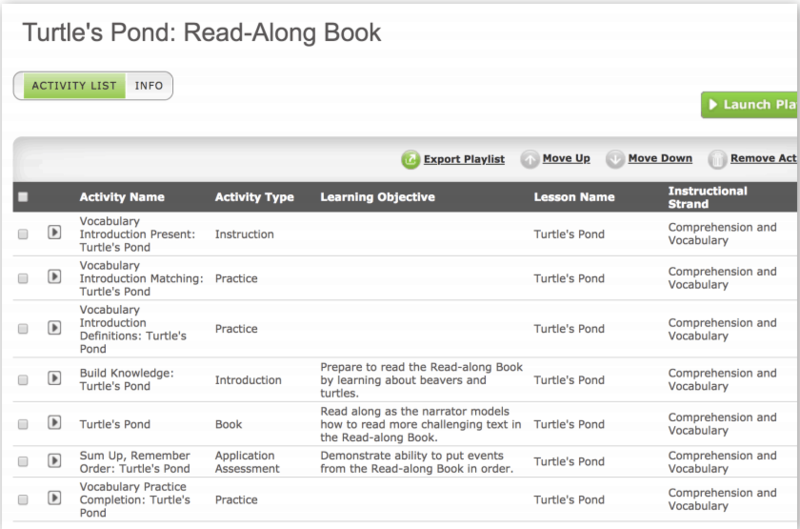 We also added a new line to student report charts in the dashboard: Projected Completion. At the beginning of the school year, each student is given a level goal based on their grade. If a student is on track to reach their goal, their projection line will be in green. If a student is not projected to reach their goal, the line will turn red. The Projected Completion line will also affect the calculation of student statuses. If a student’s line falls below projection to reach their goal, their status will turn to Needs Teacher Action. 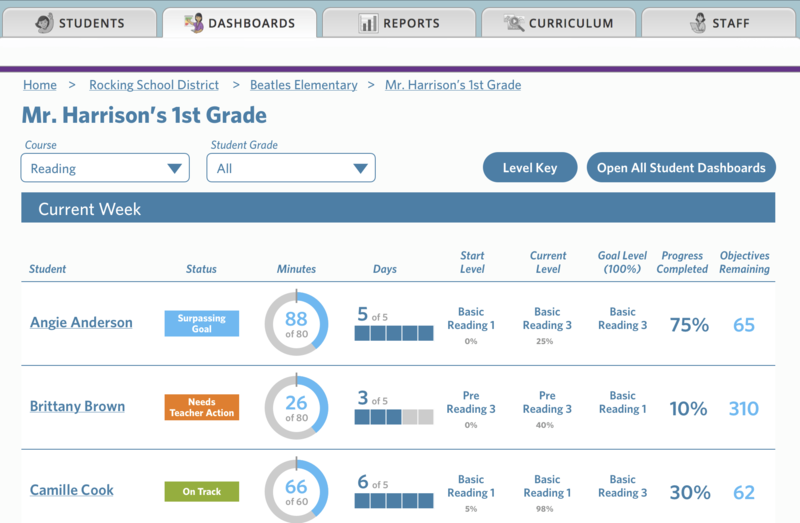 Once the teacher makes an adjustment to the student’s goal level or the student’s usage goals, the status for the student will change to Catching Up. I Go . . .